OmniFocus has become my personal task tracking tool du jour, and I’ve come to rely on it for a morning reminder of my daily routines. One of those routines is to clear my Evernote inbox–things in that notebook need to be filed away for long-term storage while I can still remember why I put them in the inbox in the first place. I like my ‘Process Evernote inbox’ OmniFocus task to always tell me how big the inbox currently is. Image credit : me. 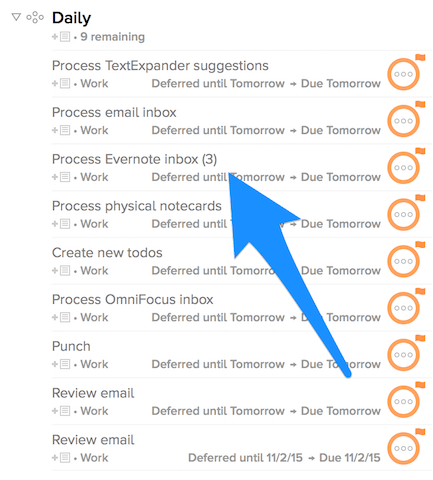 As you can see in the screenshot above, my OmniFocus ‘Process Evernote inbox’ task currently indicates that there are three unprocessed notes. This is the signal I need to bounce over there and archive them. If the number of unprocessed notes is zero, then I know I can check off that task and move along without switching over to Evernote. A couple of years ago, I may have given up on automating this, or not even thought of it, because I was frightened of AppleScript. You see, Evernote and OmniFocus teams have done a good job of making their applications scriptable by programs, but AppleScript was something I didn’t want to touch. Have you ever seen it? Yecht. I’ll give it the benefit of the doubt and assume it had its time and place, but ugh, it’s not for me. Here’s a link to my project. And the source, written in CoffeeScript, is here. The program is automated via Rake tasks to automatically compile the program and generate a launchd configuration file. Type rake help for more information. I had to set up launchd to run my program every minute. I’m unaware of any API to make these programs event-driven; I did some searching and didn’t find anything. If I missed something, please let me know. It would be nice to send some more logging information to OS X’s Console.app. Now that I’m used to the Evernote task telling me how many things need to be processed, I’d like to update some other tasks, like the ‘Process email inbox’ task, to convey the same information. 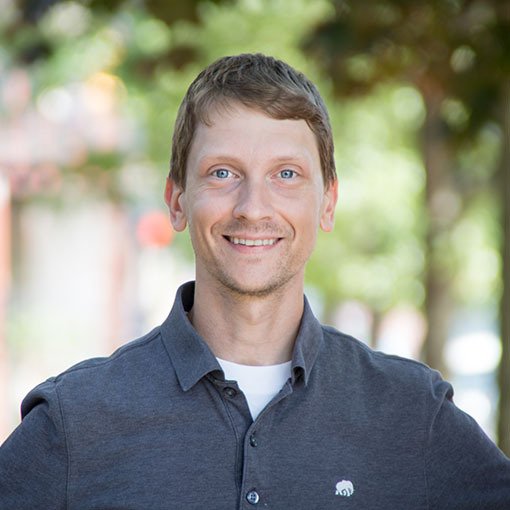 Curt Clifton’s AppleScripts gave me insight into OmniFocus’s automation API and how to use the APIs more generally. Evernote’s reference was also quite handy in seeing how their API works. Popping open the dictionaries for each application was also crucial. Apple’s reference site was, of course, extremely handy as well.